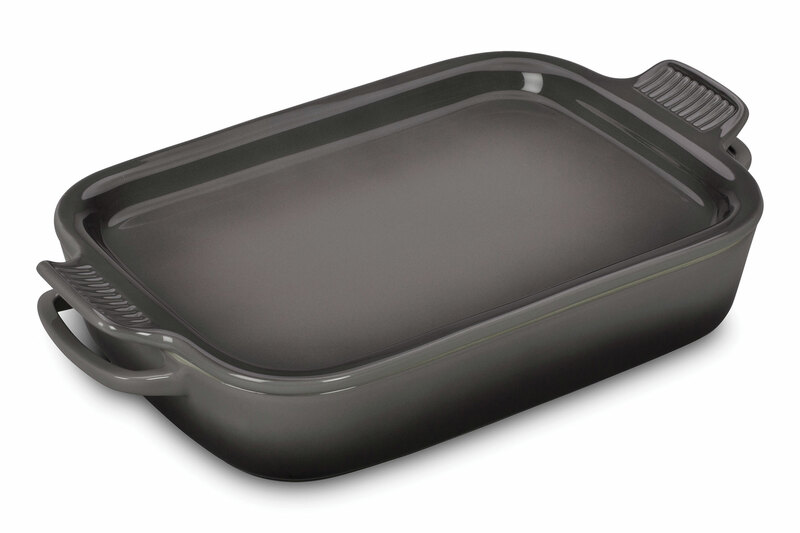 https://www.cutleryandmore.com/le-creuset-stoneware/rectangular-baking-dish-platter-lid-p136196 36196 Le Creuset Stoneware 13 x 9-inch Rectangular Dish with Platter Lid https://cdn.cutleryandmore.com/products/large/36196.jpg 109.9500 USD InStock /Cookware/Bakers & Casseroles The Le Creuset Stoneware Rectangular Baking Dish with Platter Lid offers superior, highly functional performance in the oven and at the table. Marinate meat or vegetables in this versatile dish, and then use the accompanying platter lid to serve after grilling or cooking. 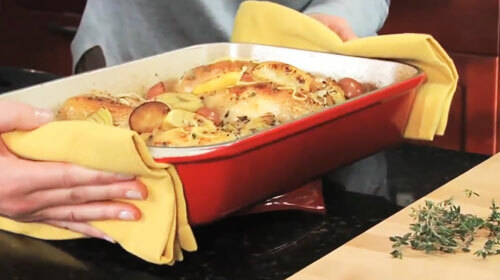 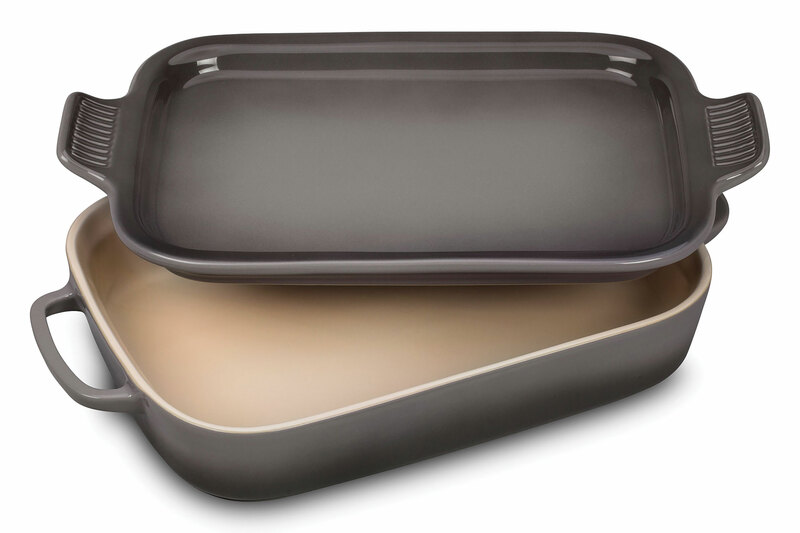 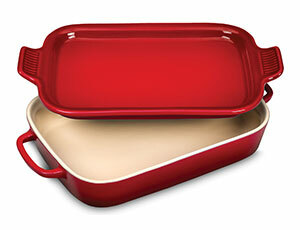 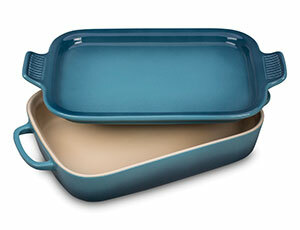 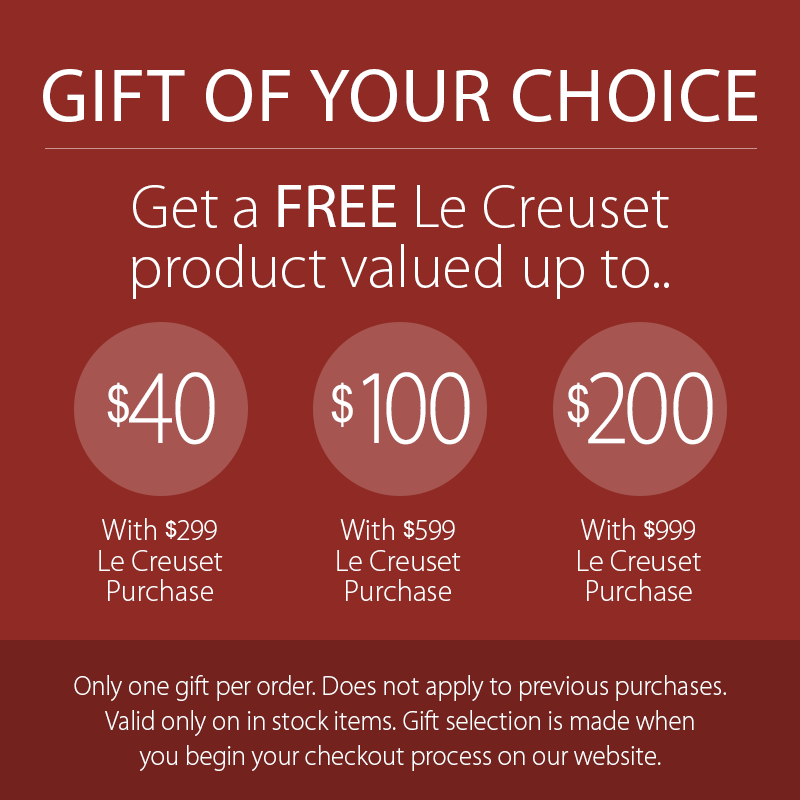 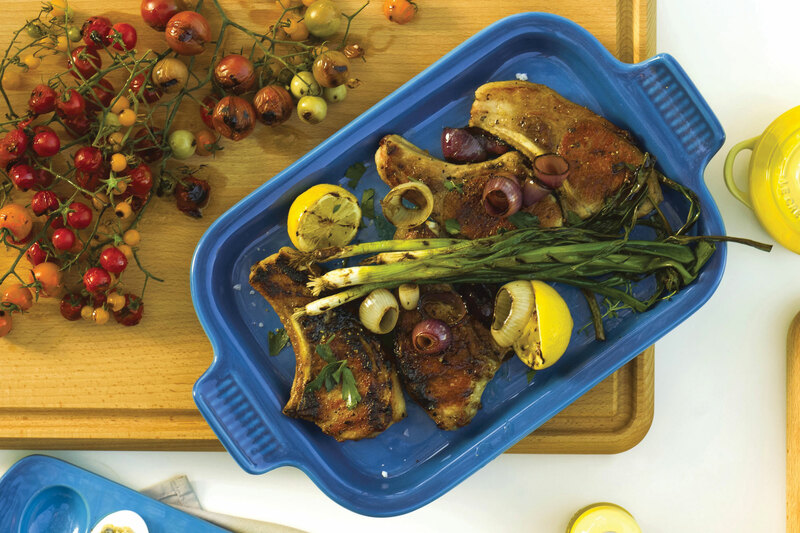 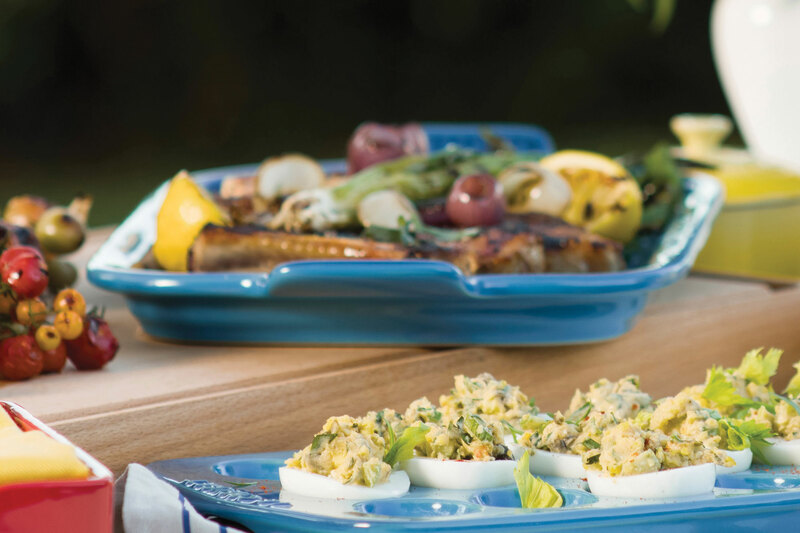 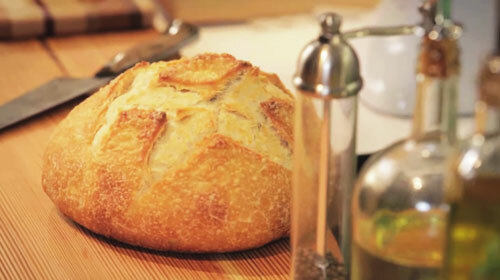 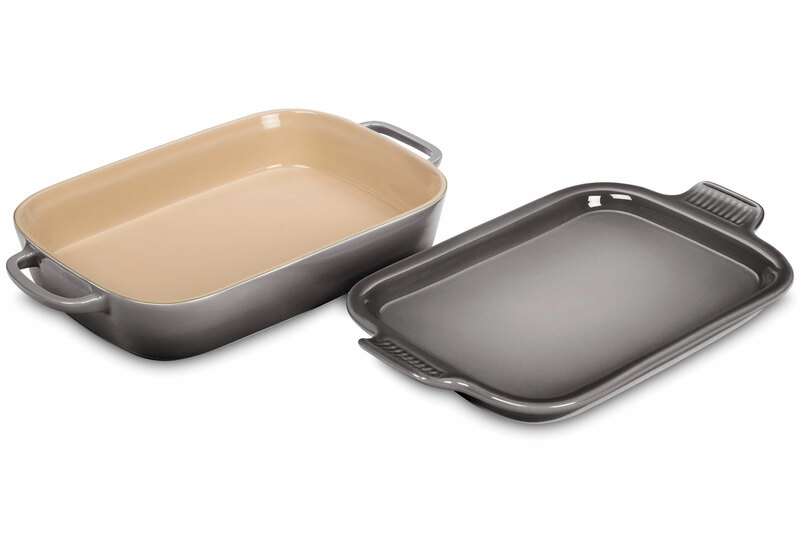 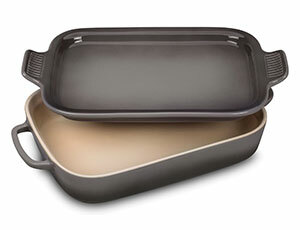 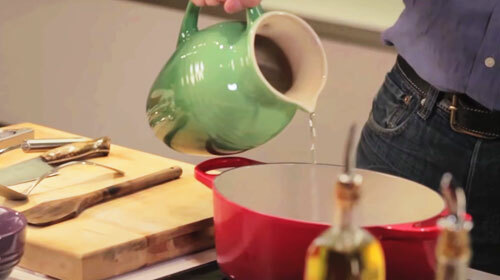 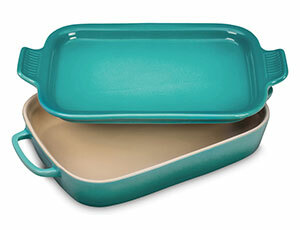 This dual function durable stoneware dish includes a tight-fitting lid that can also be used as a serving platter. 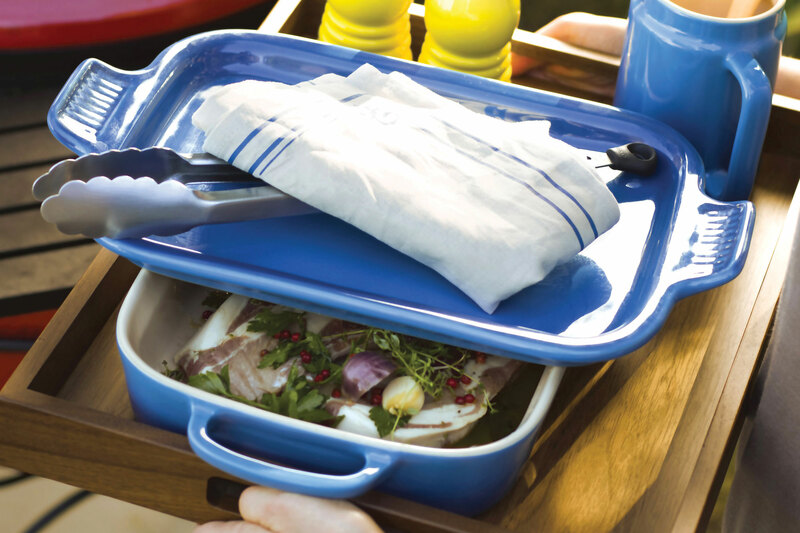 Features easy-to-grip grooved side handles, designed for a multitude of kitchen tasks, whether baking desserts, oven-roasting meats, broiling fish or simply marinating before cooking.